Claim handling went down from 45 to 15 minutes. 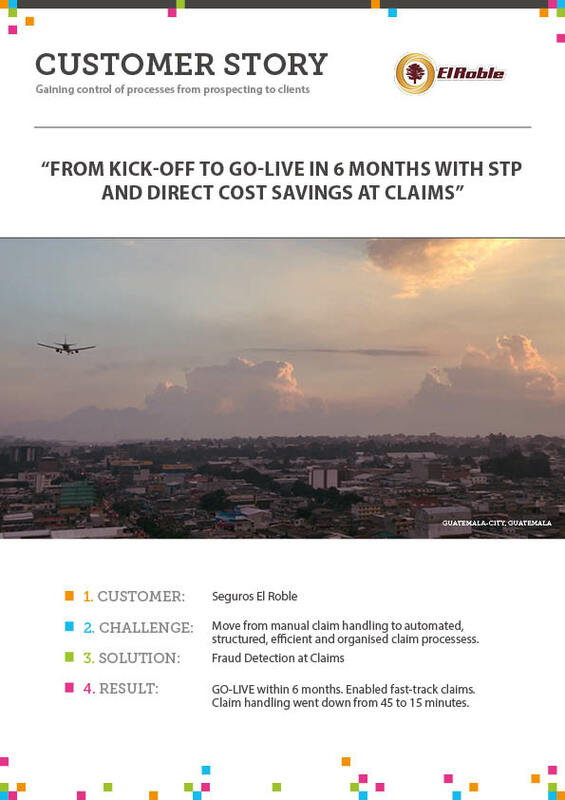 Learn how Latin-American insurer Seguros El Roble realized direct savings by enabling fast-track claims: they went from 45 to 15 minutes. Besides that the fixed-price project was finished within 6 months and stayed within budget.